Hurry !!!!!!!!!! My 150th post today and I would like to celebrate with a special dish which is my daughter's favorite. Grate Apple in a bowl and keep aside. Fry dry fruits in them till they turn to golden color. Remove them in a plate. Now in rest ghee, fry grated apple till they are thunder. Add sugar color and cook till it comes to a thickness of halwa. Put cardamom powder and dry fruits. Serve hot or cool as you like. Congrats on 150th post apple halwa looks delicious. 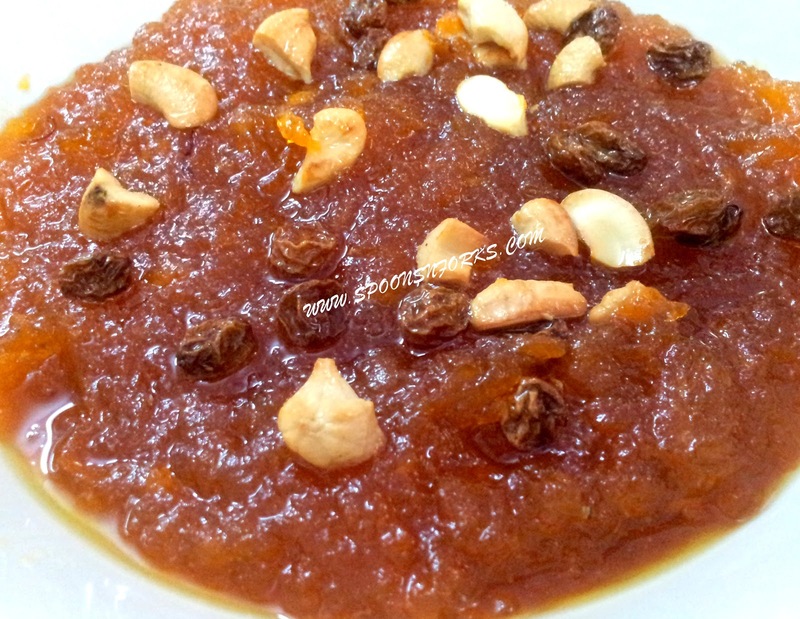 Apple halwa looks delicious and quick to prepare.will surely try to make it,thanks and happy to follow your blog.